Named after the God of Love and having been around for over twenty years, Eros Kafe is an institution in the Rundle Street cafe precinct. With a menu that has been designed to share, customers can select from a large selection of meze dishes or have something more substantial kirio piato (main plates). 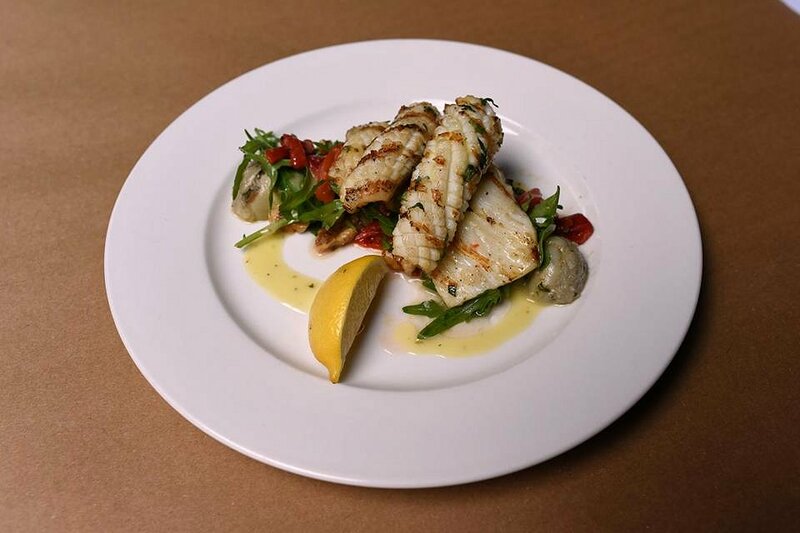 To start off with, I had the Kalamari Tis Skaras – Chargrilled calamari with rocket, artichoke, roast capsicum, walnut salad with extra virgin olive oil vinaigrette. The calamari was cooked to perfection and simply melted in your mouth. The natural sweetness from the roasted capsicum was divine, while the crispness of the rocket complemented the crunchiness of the walnuts. The vinaigrette dressing wasn’t over applied and brought all the elements together. 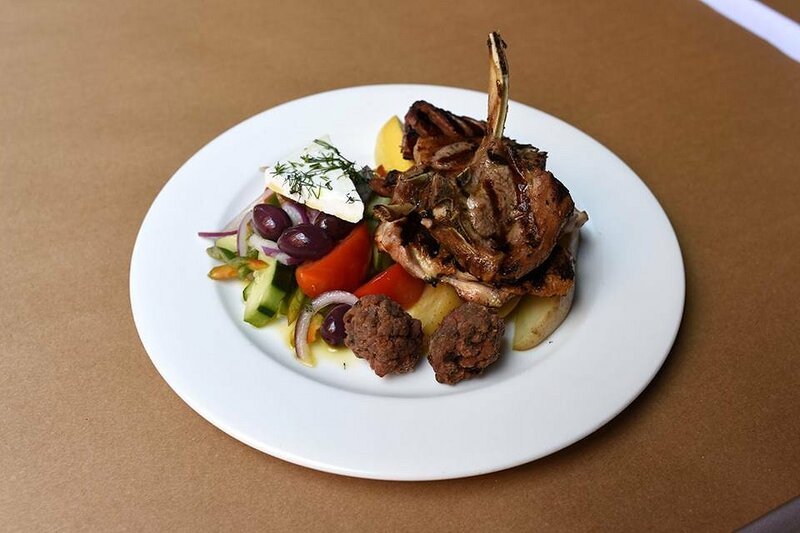 Next was the Anamikta Tis Skaras – the chargrilled meat platter with chicken thigh, loukaniko (pork sausage), lamb cutlet, keftethes (Greek meatballs), oven roasted potato and Greek salad. There’s nothing like a mountain of food on a plate to keep you going through the day, especially when you’re dealing with grilled meats. The chicken and lamb were juicy and succulent, with lovely chargrilled flavours. The pork sausage was nice and savoury, as were the meatballs. The Greek salad was full of fresh, crisp vegetables which were complimented by a piece of fresh feta cheese and salty olives. The staff are very friendly and welcoming, and the service is exceptional. The atmosphere is relaxed and you’re able to enjoy great quality food at cafe prices. Meze dishes average around $15 while mains are around the $30 mark. Great value considering the portion sizes and quality of the dishes. If you’re in the Rundle Street area and craving for some great quality Greek food, then look no further than this place.